Easy recipe for homemade cranberry sauce! 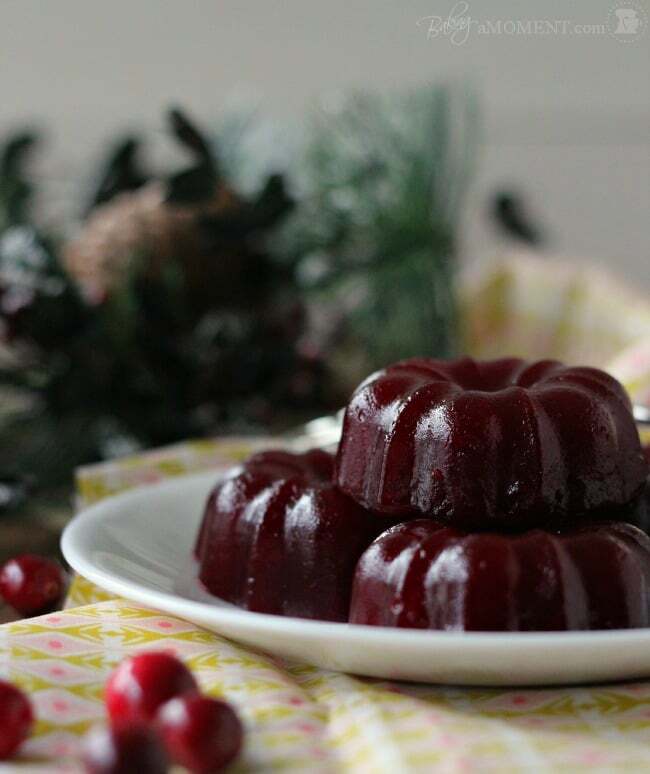 Whole berry or jellied, with only 3 ingredients. Done in 20 minutes. Keep it simple or jazz it up with add-ins! I’m working furiously to get all the best Thanksgiving dinner recipes up before the holiday! Have you noticed? In the last few weeks, I’ve shared my favorite Pumpkin Pie recipe, a fabulous recipe for soft Homemade Crescent Rolls, and our go-to Pecan Pie. And today I’m so excited to bring you this easy homemade cranberry sauce. Have you ever thought about making cranberry sauce from scratch? In my family, we always just had the canned kind. Honestly, I thought it tasted pretty good! But as I started to learn more about cooking, I realized how simple and quick it is to make it homemade. It’s only 3 ingredients! And it only takes about 20 minutes! So worth it to have a homemade dish on your holiday table! Plus this is just so pretty, don’t you think? Cranberry sauce is an easy side dish that’s often served at holiday meals, along with roast turkey and dressing. It’s made with just a few simple ingredients, and only requires about 5 minutes of prep. What does cranberry sauce taste like? 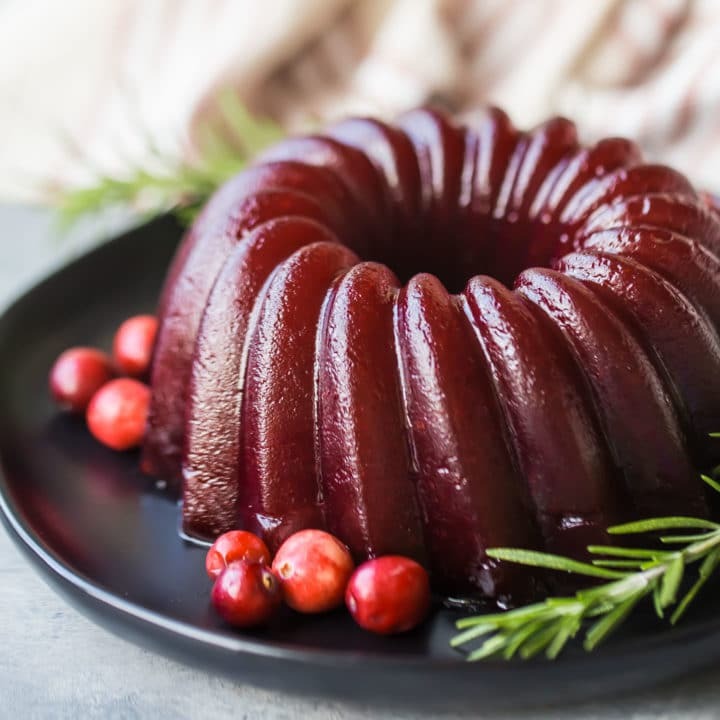 Cranberry sauce has a tart & tangy, fruity berry flavor, with a slight bitter edge. It’s a great compliment to rich foods because the natural acidity sort of cleanses the palate and provides a counterpoint to all the savoriness. You are going to love how easy it is to make your own cranberry sauce. All you have to do is simmer the whole cranberries in a pot with some water and sugar. After a little while, you’ll notice that the berries have burst and the juices look thick and syrupy. If you like a chunkier, whole-berry cranberry sauce, you can stop right there! Just transfer it to an airtight container and pop it in the fridge to chill. But if you’re like my family, and you prefer the smooth, jellied cranberry sauce, there’s one more simple step. Just pass the mixture through a food mill or strain it with a sieve, discarding the pulp. You don’t need to add anything extra to thicken this cranberry sauce. There’s no pectin or gelatin or anything like that required! Fresh cranberries already naturally contain everything needed to thicken up and gel. Just let it boil for a good 15 or 20 minutes, and it will reduce by about 30%. The cranberry sauce will thicken even more and become solid as it cools. This cranberry sauce has just 3 simple ingredients, and not one of them contains a single trace of gluten or dairy. It’s completely gluten-free, dairy-free, and vegan, so you can rest assured that everyone at your holiday feast can enjoy! 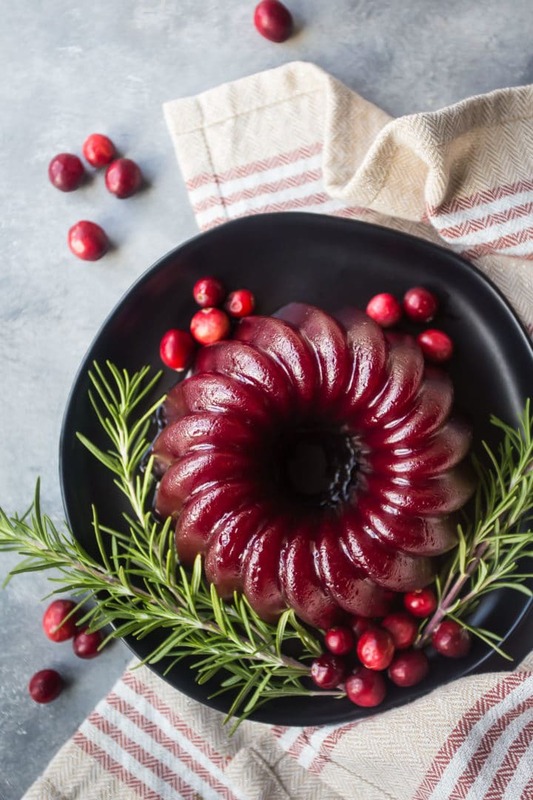 Cranberry sauce can be served chilled or at room temperature. It’s most widely known as a Thanksgiving side dish. It provides the perfect bright and tangy contrast to turkey, stuffing, gravy, and all those other rich foods. I like to dab a little on every bite, like a condiment! But you can totally eat cranberry sauce all year round. It’s great served with Swedish meatballs, roast chicken, salmon, or meat loaf! Or anything else your heart desires! The options are limitless. If you’re looking to get ahead on your Thanksgiving meal prep, this is a great dish for making ahead. Once it’s cooked and fully cooled, cover it tightly and keep it refrigerated. See below for more info on how long it is good for. HOW LONG WILL HOMEMADE CRANBERRY SAUCE KEEP? This homemade cranberry sauce should stay good at room temperature for at least a few hours, and it will keep for up to 2 weeks in the fridge. Give this homemade cranberry sauce a try! It’s so easy, and looks so much prettier than canned! Place the cranberries, sugar, and water in a large pot and cook over medium heat, stirring occasionally, until the mixture reaches a low boil. Continue to boil, stirring, for 15 to 20 minutes, or until the cranberry sauce is reduced by about a third. Pass the sauce through a food mill (optional- if making smooth cranberry sauce). Discard the pulp and pour the liquid into a lightly greased 3-cup capacity bundt pan. Chill for 4 hours (or overnight). Today I’m guest posting for Kat over at I Want Crazy. I’ve gotten to know Kat a little bit through the TGIF Link Party, and we’re also in the Mystery Dish group together. She’s so nice and fun and I just love how her ideas are so simple, yet so creative and different! She posted this dip for me a few weeks ago when I was under the weather, and I couldn’t get over it! And neither could you guys; it was a huge hit. I knew I really had to up my game for Kat’s readers, so I’m sharing this super-simple recipe for homemade cranberry sauce. It’s only 3 ingredients! I poured it into a mini-bundtlette pan to make it extra cute. 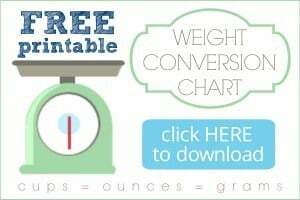 And I have some great ideas for add-ins you can use to jazz it up and make it your own! If you want to get a jump on your Thanksgiving cooking, this can be made ahead! And these adorable little individual portions will bring your buffet table to the next level. Pop on over to Kat’s blog to check out the post! 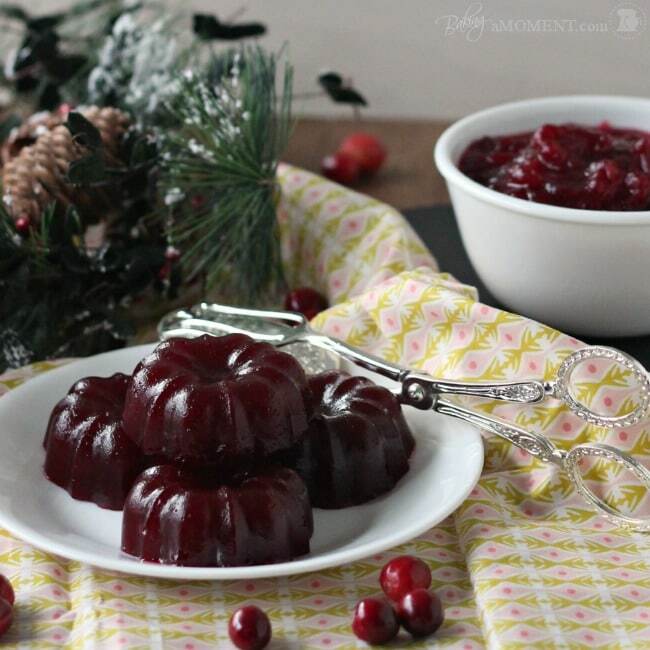 They look cute in little bundt tins, I love cranberries and love cranberry sauce with turkey. Looks great Allie! This recipe is so simple yet so perfect!! 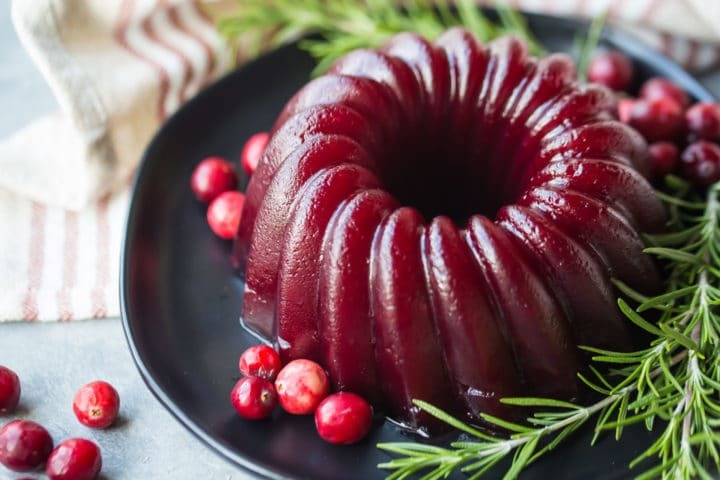 Looks amazing!, do you think dry cranberries will work for this recipe? 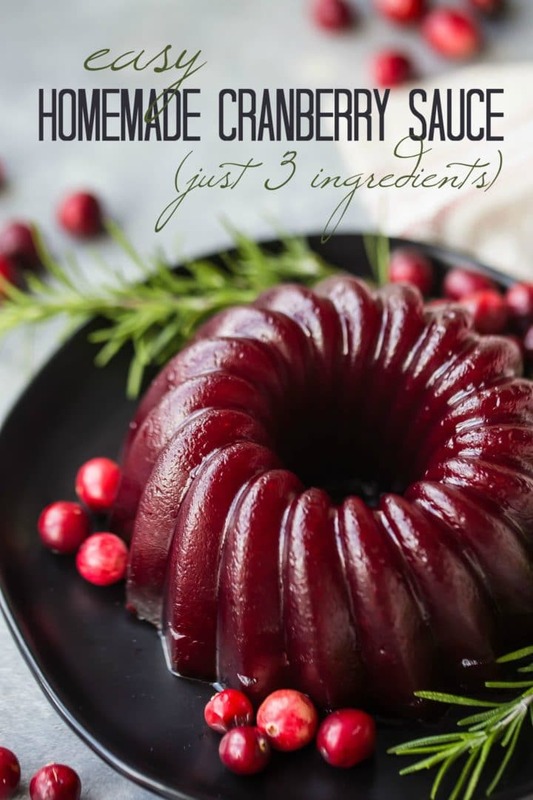 You can add dried cranberries but you will need the full amount of fresh berries as the base!